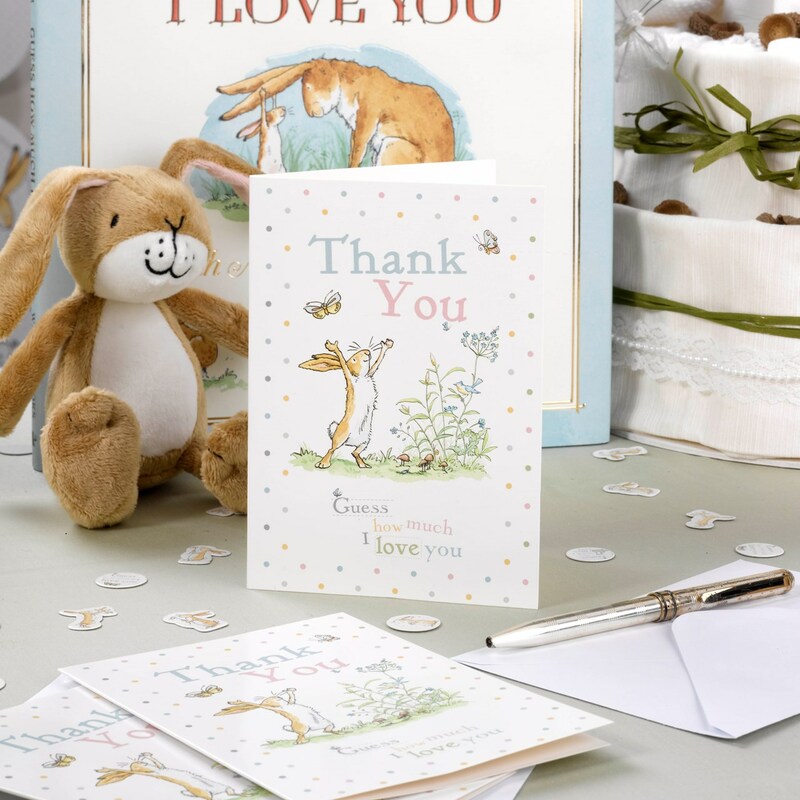 Say ‘thank you’ in original style with these adorable cards capturing the charm of the story in which Little Nut Brown hare asks his daddy to explain how much he loves him, this pretty stationery features the story’s adorable main character raising his hands to the sky, surrounded by flowers and fluttering butterflies. A lovely way to say ‘thank you’ to friends and family. Each pack contains 10 Thank You Cards+Envelopes.